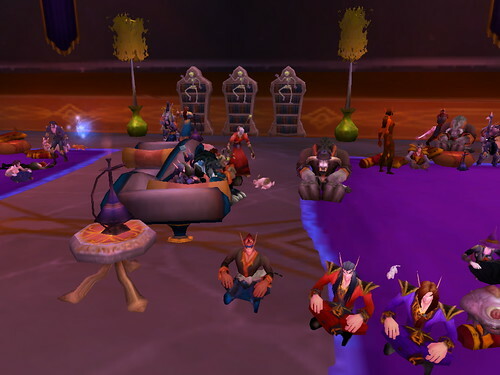 This most recent Sunday, the Horde hung up their swordbelts and put away their arcane tomes for one night to come together and celebrate the welcome home they have found on Azeroth. 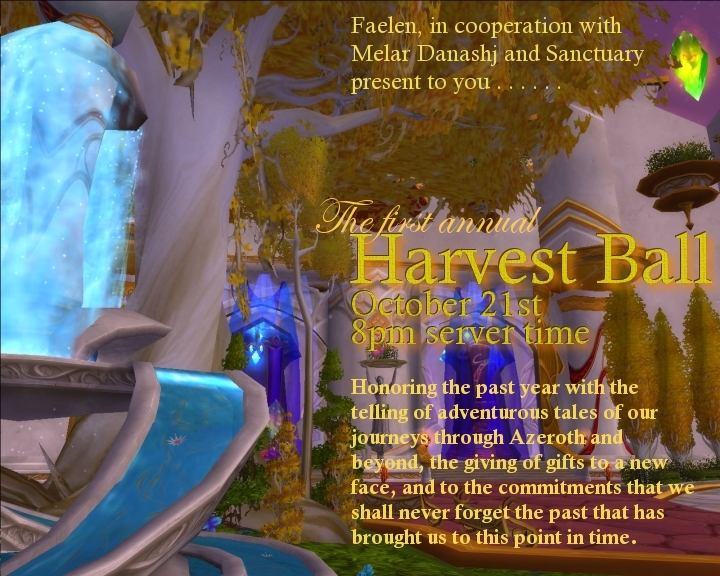 The All Hallow’s Eve festival and the burning of the Wicker Man signify that it is the end of harvest season and time for the Harvest Ball. It’s a time for merriment, for alcohol, for gorging on the best of the new crop. A time for old friends to meet once again and for rivals to put away their grudges. For one night the war is forgotten, and the Horde can act like civilized people. We can celebrate our victories, and mourn our very many losses. 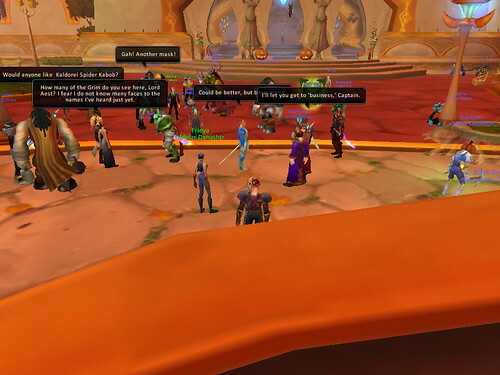 I attended with Whitman, and the students and faculty of Silvermoon University. 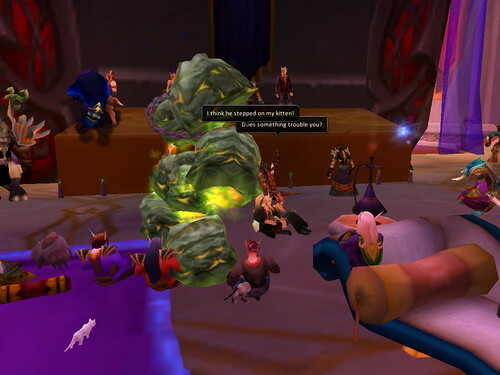 There was storytelling, drunkeness, a scavenger hunt, and a play performed by the drama club that was a satire of the rise and fall of Sylvanas Windrunner. It was, of course, a comedy. At one point, an Infernal crashed the Ball. 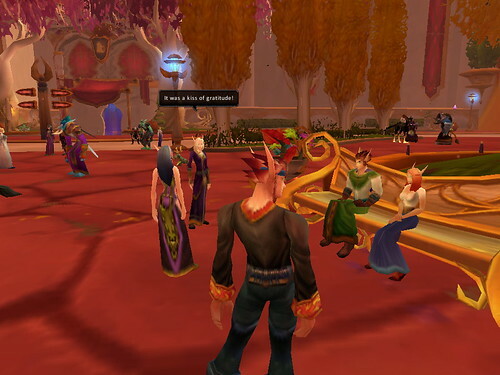 And here is Faelan, organizer of the ball, on the main stage in Silvermoon city. With Silvermoon University, but not dressed for the event. It was often hard to keep track of the conversations flying about.